Buying a sword is an important decision that shouldn’t be taken lightly. However, some first-time sword buyers make mistakes when they purchase. You should avoid making the following mistakes. People don’t know the difference between functional and decorative and that is the first thing that you need to know when you’re purchasing a sword. If you plan on using your sword even for nothing more than chopping bamboo, you should avoid buying a decorative sword. Decorative swords are mass-produced with cheap materials and equally poor craftsmanship. If you are looking for an accessory for your cosplay costume, then you need a sword that has a false-edged blade for safety purposes. People will buy a sword and then expect it to perform tasks it wasn’t designed to perform. For actually fight, the blade is designed into two parts, the front part is sharp for cutting, the end part is not that sharp for blocking. So it is not correct to tell a blade only by sharpness. There are three kind of typical cutting edge style. The first kind of cutting edge is for "heavy cut", it feels not very sharp; it is designed to cut such as iron pail, armor, big bone or other very hard things. The second one is a balanced one, it feels sharp and most of the blades are made this way. Bamboos, mat ,paper are all ok for it. The style of the third kind of cutting edge is razor sharp; It is good enough for cutting "not hard thing" . The razor sharp cutting edge will chip if we cut very hard thing, for example thick iron pail, it is nothing to do with the blade material, but the structure of the cutting edge. People will settle for a sword because it’s cheaper and they don’t want to spend the money for the sword that they really want. Different swords are made with different types of steel, which can affect its performance and overall quality. 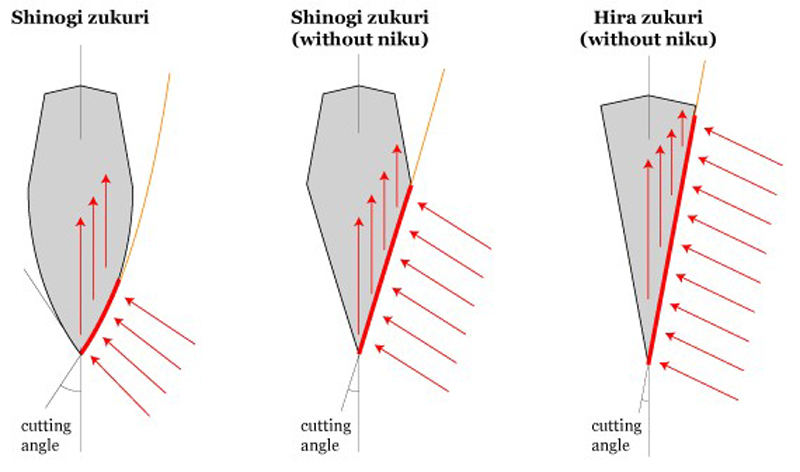 Japanese katana features longer or shorter blades, some of which are double-edged, think about when and how you'll be using your new sword, and choose an appropriate blade. Katana maintenance can be a very intimidating thing for a beginning sword collector. After all, as all functional swords are made from carbon steels that are prone to rust. Don’t be surprised if it’s dull when you go to use it again after asking it to perform over and over again. when you purchase a sword, also make sure you get a sword cleaning kit and a sharpener, as well. If you want your sword to take care of you, take care of it.